I didn't want to give out Pinky's address in fear that you'll go and steal her yarn and she won't be able to give any more in the future. Inside are all these goodies. And, she gets to subtract points from her stash! A Win-Win situation. 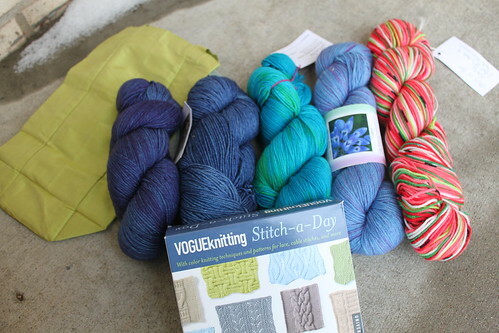 And I get more blue yarn, YAY! I also worked on more of Taygete, finishing chart B and the first row of Chart C. I have 2 more rows to complete the charts and then, starts the long, long, long, tedious process of the picot bind-off. 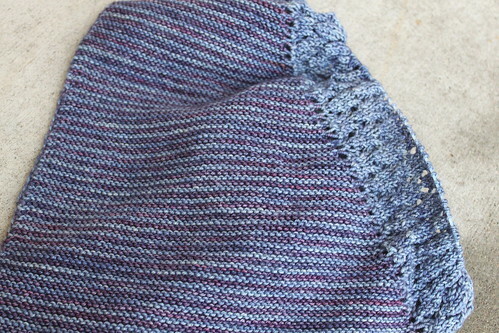 But, I should have enough yarn to knit 4 more rows of Chart C before the long, long, long, tedious picot bind-off. The Picot Bindoff will be in the purple. Should be interesting to see how well the colors pull together. I've been good - haven't started on a new other new socks - second sock or first sock... but once I finish my clue 2 on both socks, I'm sure I'll need to cast on SOMETHING! Hope you're having a good week. I've been so busy at work and got paged twice and got up in the middle of the night. I'm actually very pooped but I want to knit a little before going to bed. Where can I get that Watermelon yarn and pattern!!!!!!? That is SOOOOO great! 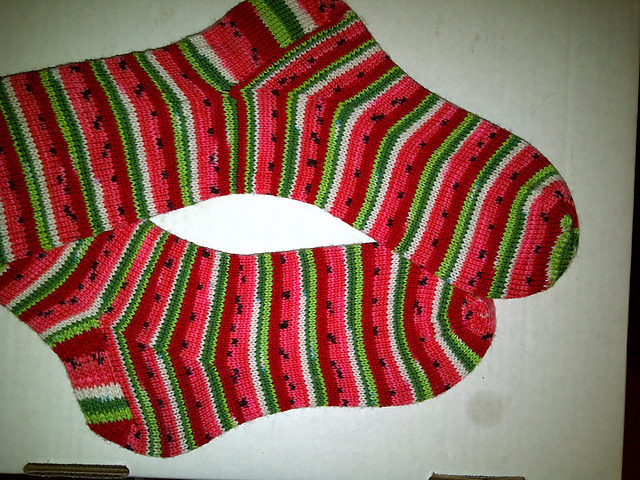 Those watermelon socks for Emily will be fantastic! 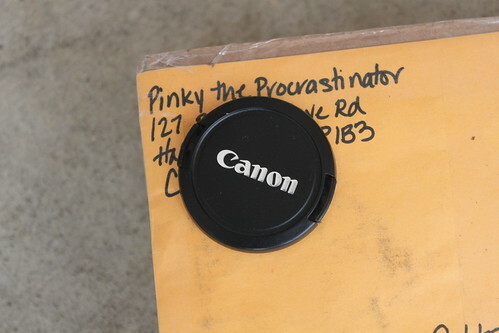 Great job Pinky! You've hooked me on the Mystery sock too. 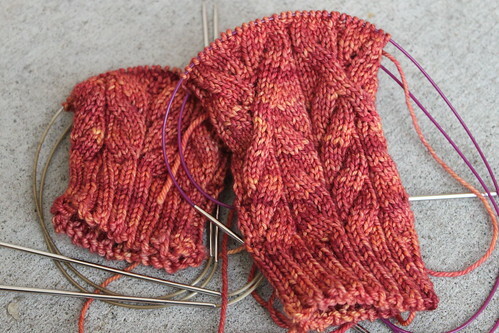 I'll be finishing my Monkey socks very soon and I think I'll have to cast on the SKA socks in their place. 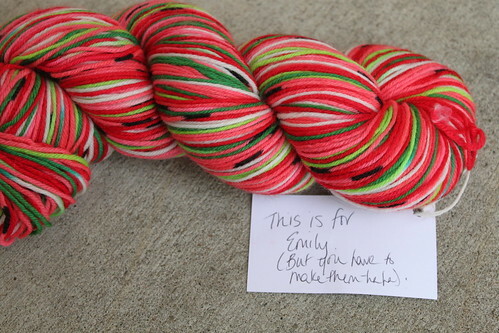 For those of you wondering about the Watermelon yarn, I just put up a public service blog post on my blog.